Institute of Banking Personnel Selection popularly known as IBPS, The IBPS conducted the Common written Test of Clerical cadre 4. 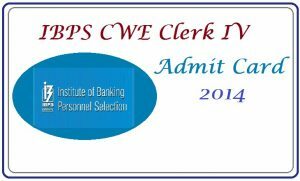 Those Applicants are successfully submitted they Application form now there all are waiting for their IBPS clerk CWE IV Admit Card 2014. The Department of IBPS recruited the various Empty posts of clerk now this time they conducted the written examination for the clerk posts. Candidates who applied to appear in Clerk CWE IV Examination are advised to download his/her Admit card by clicking on the link below. In order to download IBPS Clerk CWE 4 Admit Card, candidates need to enter Registration Number and Password/Date of Birth. No hard copy of the call letter/ Information Handout etc. will be sent by post/ courier. First visit the website of IBPS from the link provided below. 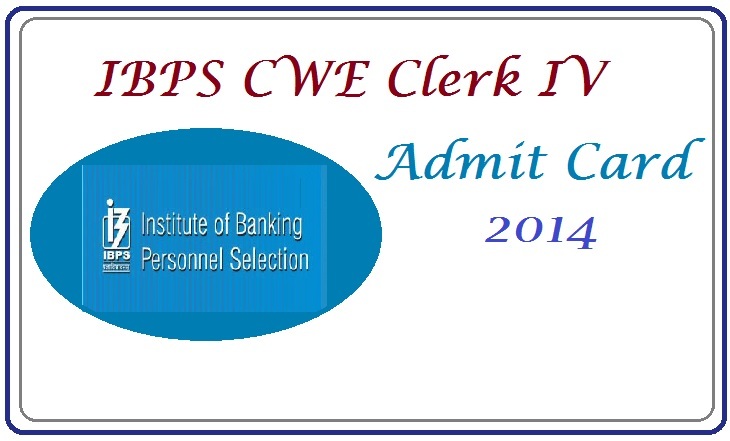 Click on the named Admit Card CWE Clerk IV Exam 2014. Clink on the submit button. Take a print of the Admit Card for Online Written Exam. (3) Photocopy of photo-identity proof.